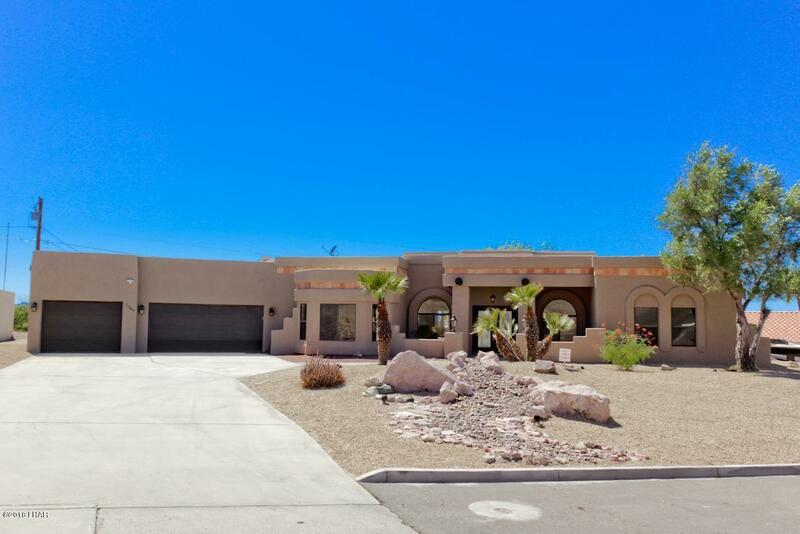 Beautifully remodeled Lake view, Santa Fe style home located on huge lot which backs up to a wash. Close to BLM and Equestrian area. Make this your Desert Oasis. Home features brand new roof, new kitchen cabinets with soft close doors, new granite, all new appliances, new flooring throughout. Living room features crown molding, huge dual sliding glass door system leading to the newly plastered pool with lake view. Extra wide three car garage with plenty of RV parking. Directions: Up Palo Verde North to Desert Lake then Right on Desert Rose.